TONIGHT! Sugar & Spice Travel Halloween Party at Red Lounge in DC! Music by @DJMIMDC! 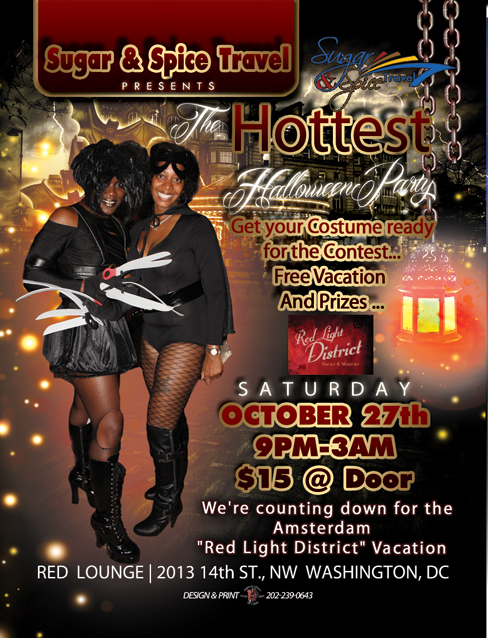 The Halloween Contest is a “Must See” and many prizes will be given away, including a FREE Vacation!! This entry was posted in DJ MIM, Events and tagged dj mim, DJMIMDC, DMV Lesbians, Lesbian Party, Red Lounge DC, Sugar & Spice Travel, washington dc by MIM Entertainment. Bookmark the permalink.